Is your New Year’s resolution to learn something new? 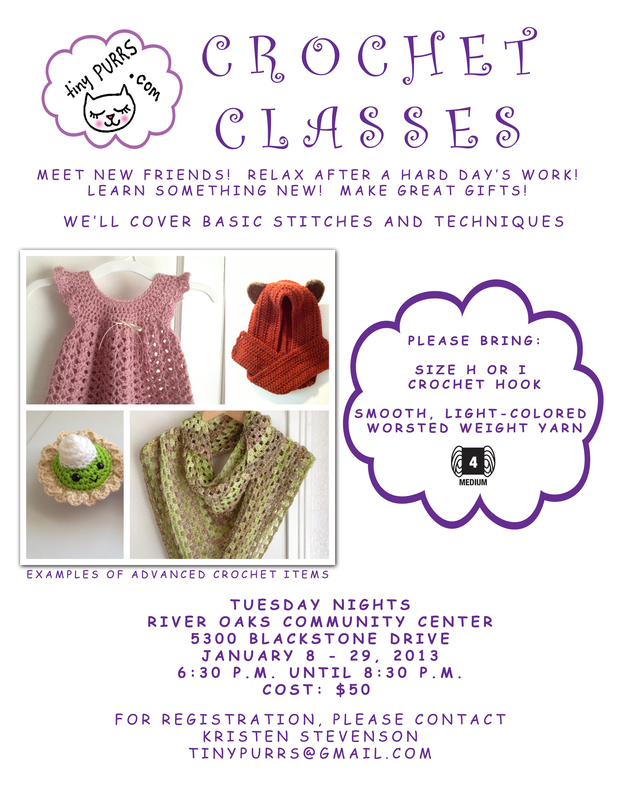 If you’re in the DFW area, join me for crochet classes in January! Space is limited so please register early! November 19, 2012. Tags: crochet classes. Classes. 2 comments.